Official memorabilia, in conjunction with the Richmond Football Club and the AFL, are proud to release Jack Riewoldt Signed 'Triple Honour'. 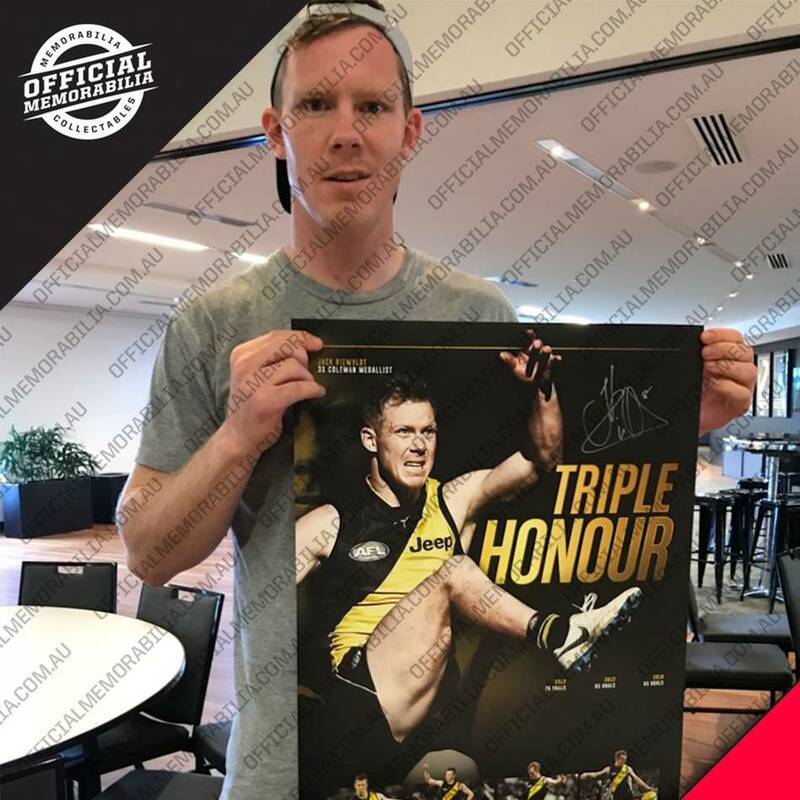 This magnificent piece celebrates Jack Riewoldt's incredible third Coleman Medal, and comes personally signed by the Premiership hero. Officially licensed and endorsed by the AFL and AFLPA, this beautifully presented piece is a must-have for all Tigers fans and astute collectors alike.